Keystone's first brand still has the same goal today as it did back in 1996, keep it simple, and make camping easy! 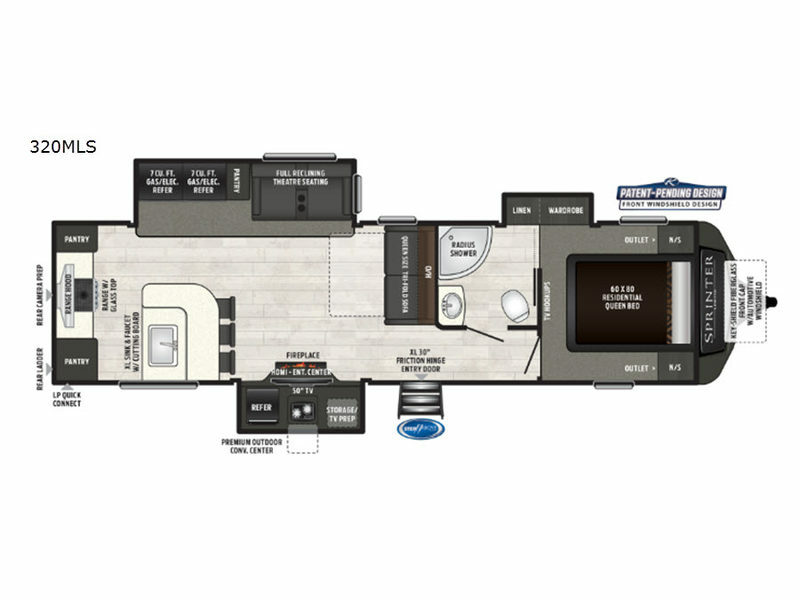 With Sprinters today, your camping experience is still much the same no matter whether you have chosen a travel trailer or fifth wheel. Both feature a 100-inch wide body design which gives more space for you and your belongings. 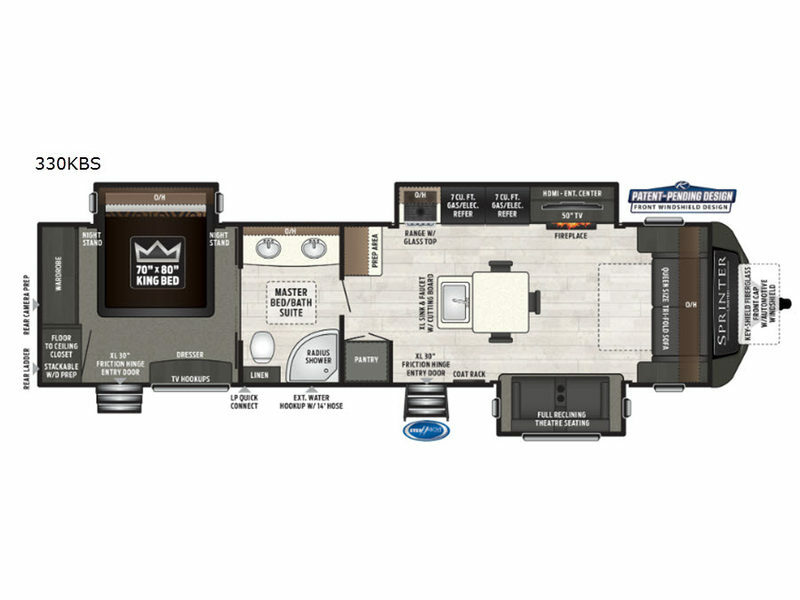 Because Sprinter stands behind every unit built, you will have peace of mind knowing there is a Industry-Leading Limited 3-year structural warranty for a total worry-free owner experience. You will also appreciate the Key-Shield paint technology providing up to six layers of protection to keep your front cap looking new for years! Other highlights include a Furrion antenna that integrates 4G LTE and Wi-Fi, KeyTV, Tru-Fit slide construction, in-floor heating ducts, and a wireless remote control. 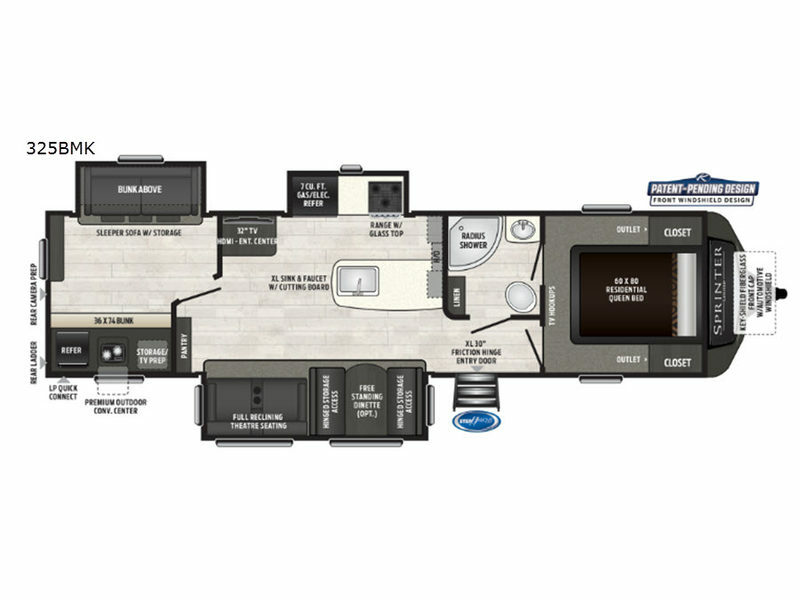 Let your new Sprinter show you how to make camping easy for the whole family! 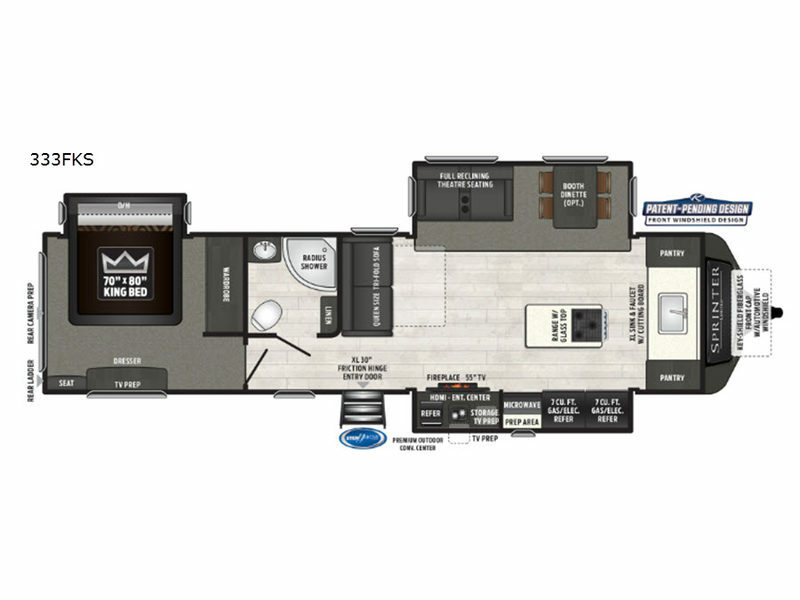 Come choose a travel trailer or fifth wheel model today! 96" wide-body interior, best in class!